Supply Chain Management and Logistics: What's the Difference? Are supply chain management and logistics the 21st century’s answer to George Gershwin’s famous lyrics “to-mayto, to-mah-to”? Today, many manufacturers treat the words as one in the same, and often use them interchangeably. Complicating matters further, what is considered supply chain management (SCM) in the U.S. is known as logistics management in Europe. However, while the words share commonalities, they are very different concepts meaning very different things. A simple Google search confirms that a lot of confusion exists over the differences between supply chain management and logistics. In fact, Inbound Logistics went so far as to ask their readers if SCM and logistics were one in the same. Needless to say, the responses were all over the map. "There isn't a difference today," said Wayne Johnson of American Gypsum, a manufacturer of wall boards. "An SCM company is a third-party operator managing the overall movement of product whether inbound or outbound,” said William Behrens of shipping company Associated Transport Systems Inc.
“There is very little difference between the two,” said Steve Park of Norwood Manufacturing, developer of prefabricated metal buildings and parts. "SCM incorporates the field of logistics,” said Michael Kirby of warehousing company National Distribution Centers. If the two terms are different, how did they become so intertwined in the minds of so many? For one, the term logistics has been around for a long time, with its roots based firmly in the military. Supply Chain Management, as a concept of the bigger picture, is a much newer term; its roots only really began to take hold in the mid-1990s with the advent of hyperglobalization in manufacturing (in 2005, the Council of Logistics Management even changed its name to the Council of Supply Chain Management Professionals (CSCMP) to further differentiate between the two disciplines). Since definitions have become so blurred, let’s break them down individually. 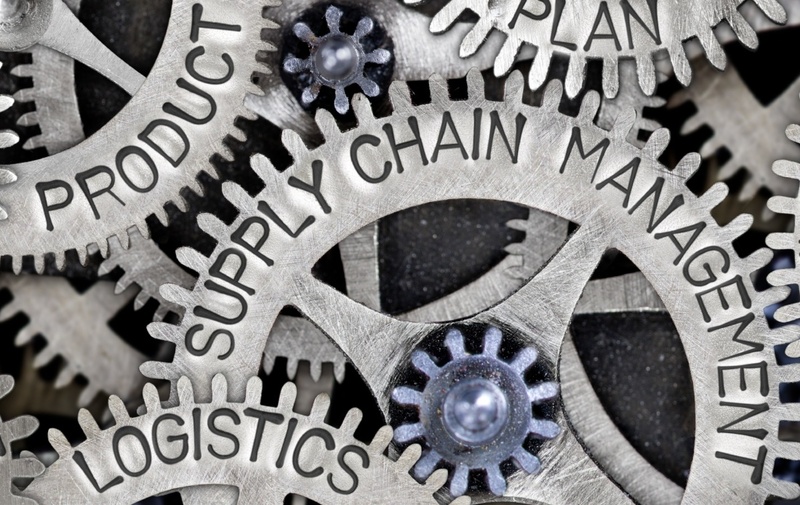 Supply Chain Management is “the big picture.” It encompasses all collaboration between companies that connect suppliers, partners, manufacturers, wholesalers, retailers, and customers to optimize efficiencies that improve competitive advantage. Activities may include sourcing, procurement, production, testing, logistics, customer services, and performance measurement (again, note that logistics is merely a piece of the SCM puzzle). The CSCMP defines logistics as “part of the supply chain process that plans, implements and controls the flow and storage of goods and services between the point of origin and the point of consumption to meet customer’s requirements.” In more simple terms, we like to think of logistics as delivering customers the right product, at the right quality, at the right time, in the right place, at the right price. Inbound: The acts of procuring material, handling, storage and transportation. Outbound: The acts of collecting, maintaining, and distributing/delivering goods. Other logistics activities involve warehousing, protective packing, order fulfillment, stock control, and maintaining balance between supply and demand. Defintion “The big picture,” linking business processes across companies and encompassing all collaboration between suppliers, partners, manufacturers, wholesalers, retailers, and customers. A component of the supply chain concerned with the storage and flow of goods and services inside and outside the organization, from point of procurement to point of consumption. History A relatively new term developed to address hyperglobalization during the 1990s. An older term with military roots meaning the transportation of army persons and goods. Supply chain management and logistics will forever be linked, as they do not contradict one another but supplement one another. However, it’s important that everyone on your internal and external teams use the same terminology to avoid confusion and disruptions that could result in wasted time and money—and upset customers. Share this post to ensure everyone is on the same page, and watch out for our upcoming companion piece to this story, The Importance of a Good Logistics Strategy in Manufacturing.